Mr. Sigmon's law practice is limited to bankruptcy matters. 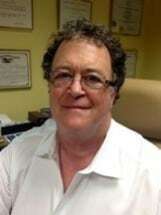 He has served as a bankruptcy attorney in Gastonia, N.C., since 1979. He is admitted to practice in every level of the North Carolina and federal court system. He is the most qualified and experienced consumer bankruptcy attorney in Gaston County. Mr. Sigmon's interest in bankruptcy and consumer protection law is the result of his being born and raised in the Gaston County area. He has seen the effects of unemployment and low wages upon the residents of this county over the years. With the unemployment rates that have existed in this county for quite some time as well as the low wages offered, individuals in this community cannot help but find themselves in financial hardship. Often good people, through no fault of their own, have no alternative but to seek relief and protection from their creditors under the United States Bankruptcy Code. Mr. Sigmon attempts provide the highest quality of legal service at a reasonable price. The quality of his representation is reflected by his "a.v." rating in Martindale-Hubbell law directory. Martindale-Hubbell publishes ratings from data compiled from lawyers and judges who participate in the rating process for this nationwide organization. The legal ability ratings are a, b, and c with the rating of "a" being the highest possible. The general recommendations rating, "v" (very high), embraces faithful adherence to ethical standards, professional reliability and diligence, and other relevant factors. The "a.v." combined rating is the very highest lawyer rating published by this Company, which has published ratings for lawyers for over 100 years. Mr. Sigmon is certified by the North Carolina State Bar Board of Legal Specialization as a Specialist in Bankruptcy Law. For this designation, he was required to take a comprehensive examination and to obtain recommendations from other attorneys and judges in the field. A Certified Specialist in Bankruptcy Law is a lawyer with special and unique expertise in that area. Mr. Sigmon is a member of the panel of Chapter 7 Trustees of the United States Bankruptcy Court for the Western District of North Carolina. This means that he is often appointed by the U.S. Bankruptcy Court to serve as Trustee in Chapter 7 cases. Mr. Sigmon has spoken at numerous seminars, conferences and other educational events on both the State and National level for lawyers upon the subjects of bankruptcy law and consumer protection. He is recognized as an expert throughout the country in various facets of bankruptcy law. In March of 1999, he was invited to testify before the Subcommittee on Commercial and Administrative Law of the United States House of Representatives in Washington, DC. There he testified against proposed changes to the Bankruptcy Law which were supported by the credit card companies. Mr. Sigmon has been involved in many noteworthy bankruptcy cases. Probably the most famous case was the case of Shelby Yarn Company in which Mr. Sigmon as trustee and attorney recovered more than a million dollars in wages and health care benefits for the former employees from the former owners of the company. Mr. Sigmon's goal in every case is to treat all of his clients with the same dignity and respect that he would hope to receive if he were the client and they were the attorney.